Is Madonna's New LP Called 'Magic'? It looks like the Queen of Pop has settled on a title for her new album. Madonna’s hair can tell you a lot about an era. Platinum blond usually signifies a pure pop album, while darker shades hint at something more introspective and substantial. Think Like A Prayer, American Life and Ray Of Light (never forget those raven-black locks in “Frozen”). If that trend continues continues, it’s time to get very excited for her new music. 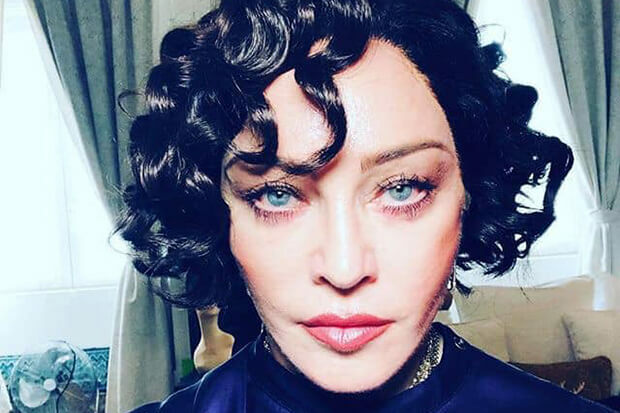 The 60-year-old revealed a striking new look on social media, complete with cropped and curly dark brown hair. She also used the hashtags #Magic (the rumored title of her new album) and #music. Of course, Madonna could just be rocking a wig… but it’s a slow news day and I’ll go with it. In any case, it shouldn’t be too long before new music arrives. She was in the process of doing final mixes in November and promised a 2019 release in an interview with WWD. More significantly, however, the pop icon is steadily raising her profile with surprise performances, new controversies and attention-grabbing social media posts. A sure sign that something is brewing. Check out the hitmaker’s new hairdo below. Do you love Madonna’s new look? Let us know below, or by hitting us up on Facebook and Twitter!